Beef restaurant, Okpo. 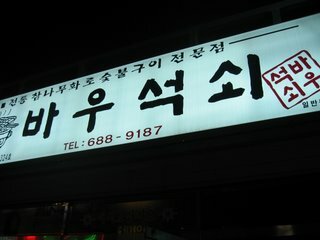 Fairly good, Korean seating only and can be very busy on weekends. Near Gangster Bar, look for the restaurant with one big room of floor seating with silver coloured ventilation ducts coming down from the ceiling over the tables.